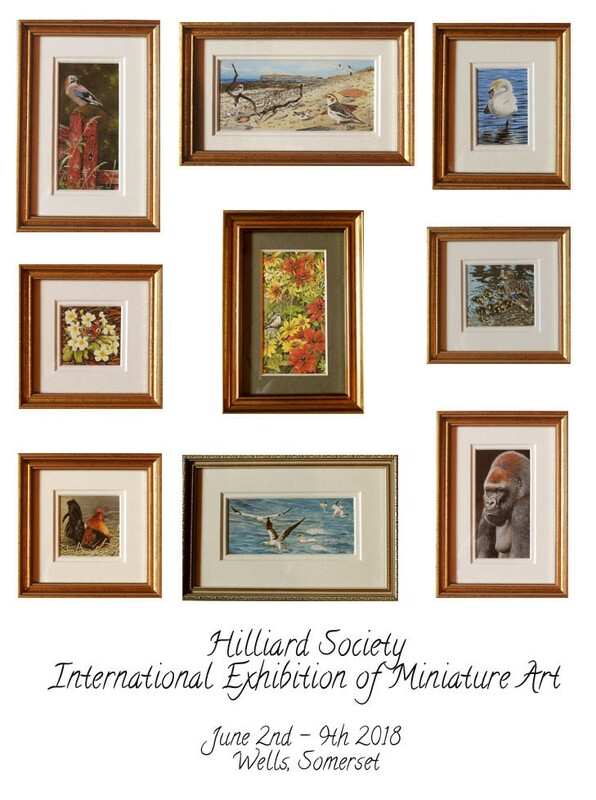 The annual Hilliard Society International Exhibtion of Miniature Art is taking place once again at the Town Hall, Wells from June 2- 9 2018 (closed on Sunday June 3rd), and above are my entries this year. It is always a wonderful exhibition to visit, with around 300 original paintings and sculptures for sale, daily demonstrations, a full day miniature painting workshop and the 'Mini Masters' art project aimed at encouraging youngsters to try their hand at this unique artform. It is a friendly and welcoming society and if you are able to attend I'm sure you will enjoy it. If for any reason you are not able to, the exhibition will once again be online, after the show closes, for the rest of the year, and you can contact the society office for purchase enquiries. More details about the society and the exhibition can be found on the website.